It is important for a chatbot to have a ‘’human touch’’. The key to that is its intelligent quotient. 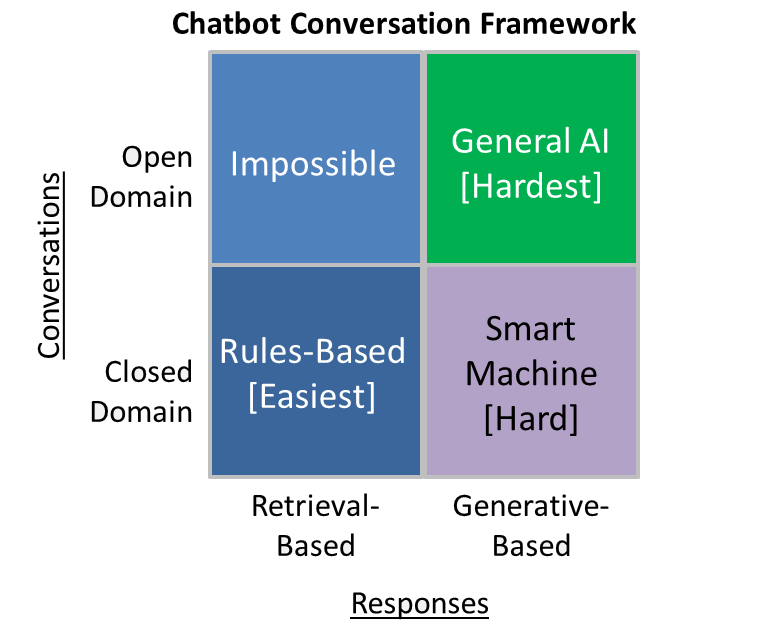 So, you want to build a smart AI chatbot? In this blog, we shall discuss some important pointers to get you started. The most important thing to keep in mind while building a chatbot is the goal of building it. So, a chatbot needs to understand what users demand from it very well. Hence, the better the designer understands the goals; the superior will be the quality of the bot. A chatbot needs to be familiar with the most commonly asked questions and also needs to provide relevant answers to those. The two common goals of building a chatbot are helping users or collecting information from them. Helper chatbots employ natural language processing (NLP) and have strong understanding capabilities. These bots can be used to carry out a variety of tasks, like buying products or booking hotel rooms. On the other hand, collector bots adhere to a pre-defined set of questions and don’t have the ability to respond when presented with new queries. 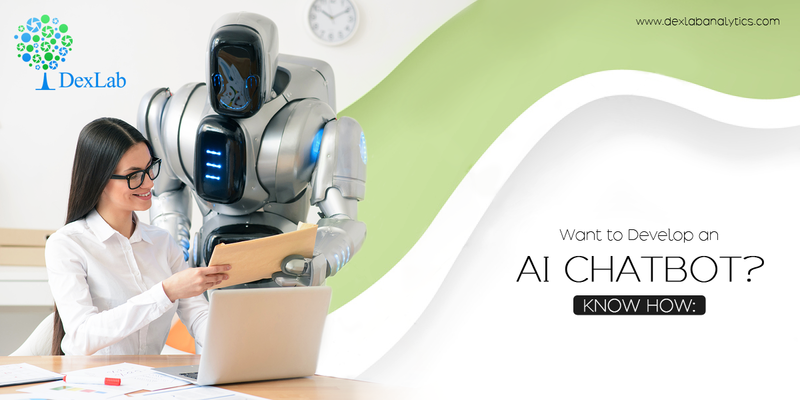 However, by utilizing intelligent platforms, the performance of collector bots can be enhanced; they learn to respond to unknown queries by intelligently presenting the information they collect. Learn to deal with such off track queries. Here, interacting with existing online bots proves extremely useful. Ask questions in order to break their flow and note down the responses you get. Apply these to your flow. David Low, chief technology evangelist for Amazon Alexa, has stressed on the importance of creating a conversation script and testing it back-and-forth. It is advisable to present your bot as a non-human character. For example, to make it clear that your platform is a bot, greet users with a welcome message and state all the tasks your text platform can perform. Natural language processing (NLP) platforms, like WIT, API and LUIS are the driving force behind intelligent chatbots. They analyze and resolve sentences into intent, agents, actions and contexts. NPL platforms help identifying links between words and determining parts of speech like nouns, verbs and adjectives. When it comes to leveraging machine learning or NPL for your bot, consider open and closed sources, generative and retrieval-based models before settling for the ideal model. Conversations happening in social media platforms include a variety of topics and fall under open domain category. However, if you wish to regulate input and output for a bot then you must opt for a closed domain. Retrieval-based models work with predefined responses whereas; generative models have the ability to come up with new responses. A complex feature like sentiment analysis can also be incorporated in chatbots through NPL. This is useful in situations where a chatbot is unable to satisfy a customer. In such cases it transfers the problem to a human customer representative. In future, companies will be increasing dependent on chatbots to boost their sales. Hence, professionals with expertise in this upcoming tech are likely to be highly valued. So, if you want to be part of that elite group then you must enroll for machine learning training in Delhi at Dexlab Analytics– our seasoned consultants offer the best machine learning courses in Delhi.